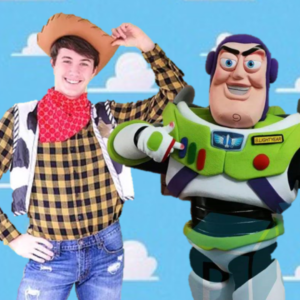 Our toy cowboy and space ranger are visiting My Clayground on Saturday June 22nd from 9am-10:30am. Come meet them, paint a themed craft, and join us for delicious snacks! Early bird cost is $35* per child until April 22nd. Regular cost is $40* per child. RSVP is required, as there are limited spots per section. THIS IS NOT A DROP OFF EVENT AND REQUIRES A PARENT/GUARDIAN PRESENT. RSVP and payment required ONE WEEK in advance. Please call 770-998-2983 with any questions. Payments are NON-REFUNDABLE, but can be used towards future visits at My Clayground. Cancellation must be before 5/13.